Thanks to the synergy of its powerful ingredients, this unique treatment restores your face’s firmness, redesigns its shape and smoothes wrinkles and fine lines. An effective, precise and lasting anti-age treatment. Your face will once again be radiant and toned after a few days of application. 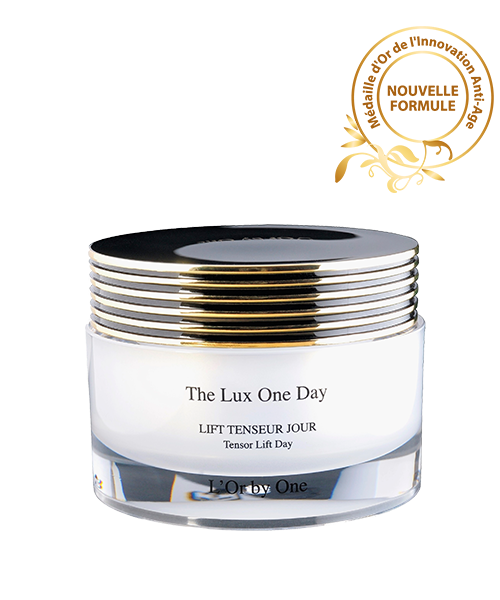 Thanks to its silky texture, The Lux One Day, immediately soaks in, instantly improving your complexion. - The patented natural active compound, BNF/A, together with Alpha hydroxy acid, has a significant effect on the dermis, stimulating and regulating the production of fibroblasts, boosting the synthesis of collagen, mucopolysaccharides and hyaluronic acid. - By its antioxidant and anti-radical properties, vitamin E, Original natural, protects the skin from external damage and premature aging. Apply every morning on clean, toned skin (face and neck) on its own or after applying "Sérum By One" or "Illuminescence".